This gorgeous bracelet would make a perfect addition to one of our Tahitian South Sea Drop Shape strands. 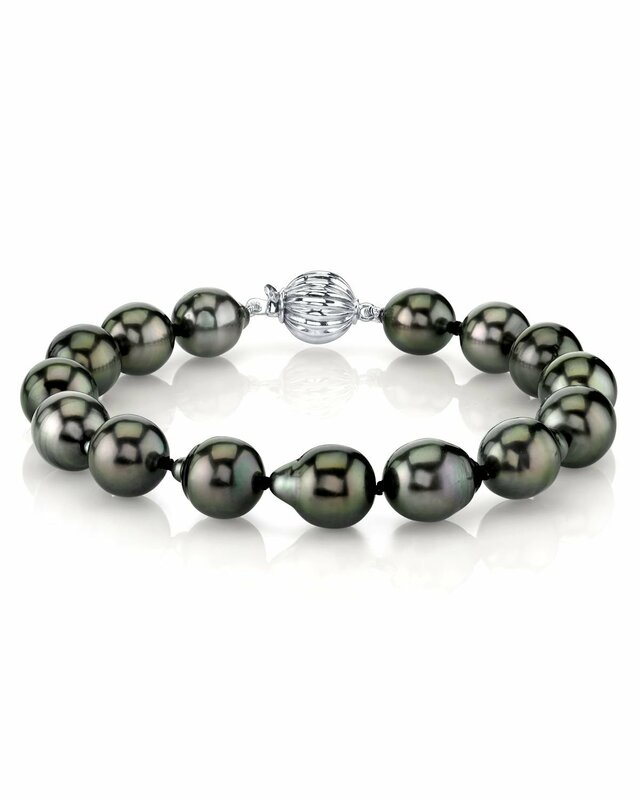 The bracelet consists of exquisite Tahitian South Sea pearls in a drop shape in AAA quality. 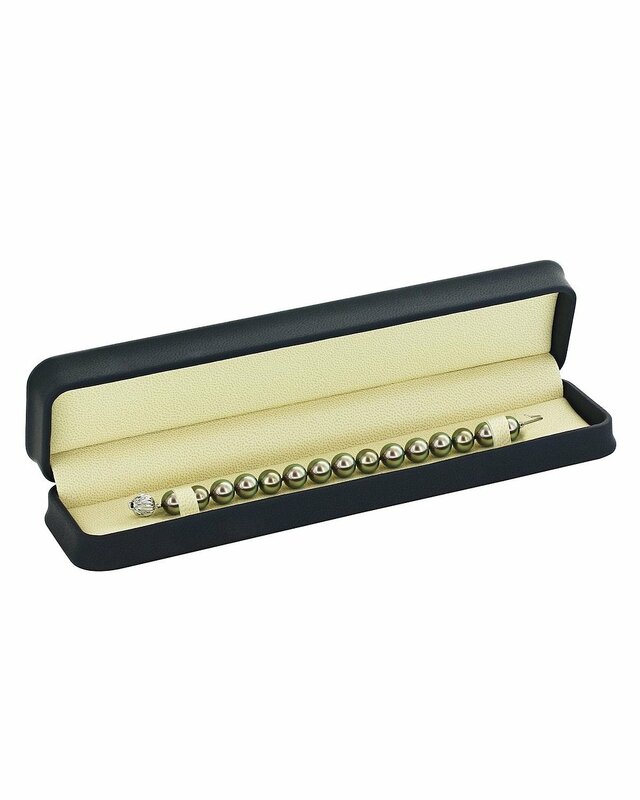 You can select the size of pearls from the dropdown menu. The colors on the Tahitian pearls on this piece are truly remarkable. The pearl looks better everyday (I was not so impressed at first)! Thank you for working with me to ensure the bracelet matched the earrings, looks stunning!